Free Printable Bible Crossword. Free Printable Crossword of the Bible. 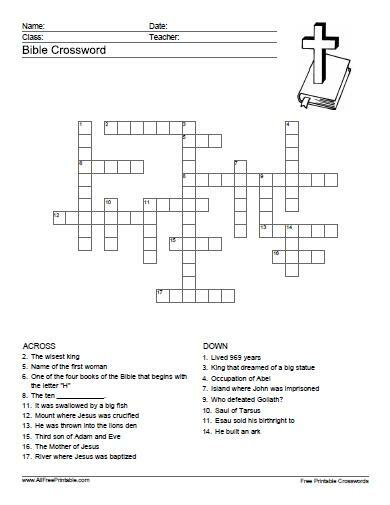 Free crossword game to share with your, kids, and students at home or at the Church. Print free Crossword games here. Print it using your inkjet or laser printer and enjoy your time solving the 18 words in this crossword. Find Bible related words and characters like (Mary, Jonah, Eve, Shepherd, Methuselah, Solomon, Noah, Seth) and many more. Click the link below to download or print the free Crossword Game now in PDF format. Solution Included.